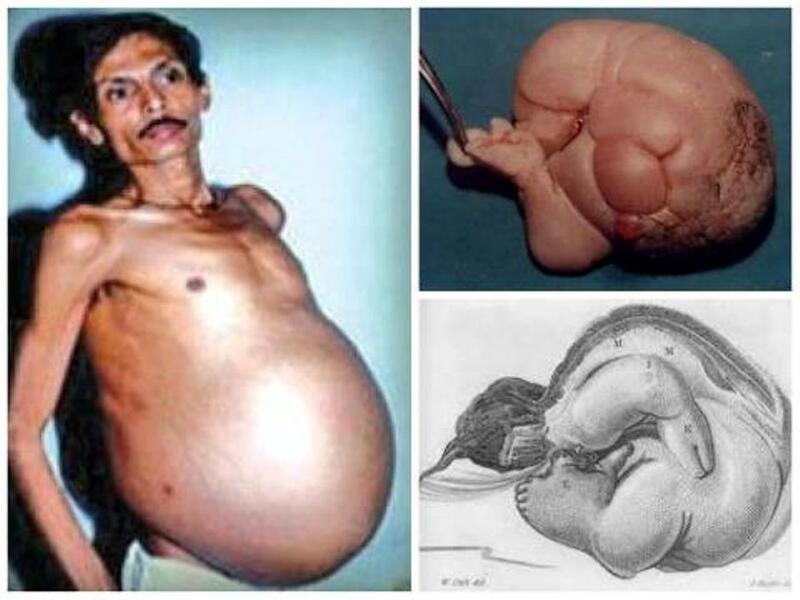 Sanju Bhagat, a farmer from India lived his whole life with a bulging stomach. Villagers teased him that he looked nine months pregnant. Little did they know that what they said was almost true? In June, 1999 when Sanju was 36 years old the growing stomach made it difficult for him to breathe. He was immediately rushed to the Tata Memorial Hospital, Mumbai in India for emergency surgery. Doctors assumed that a tumor was growing inside, but on operating the doctor saw something he had never seen before. It actually felt as if Sanju had given birth. 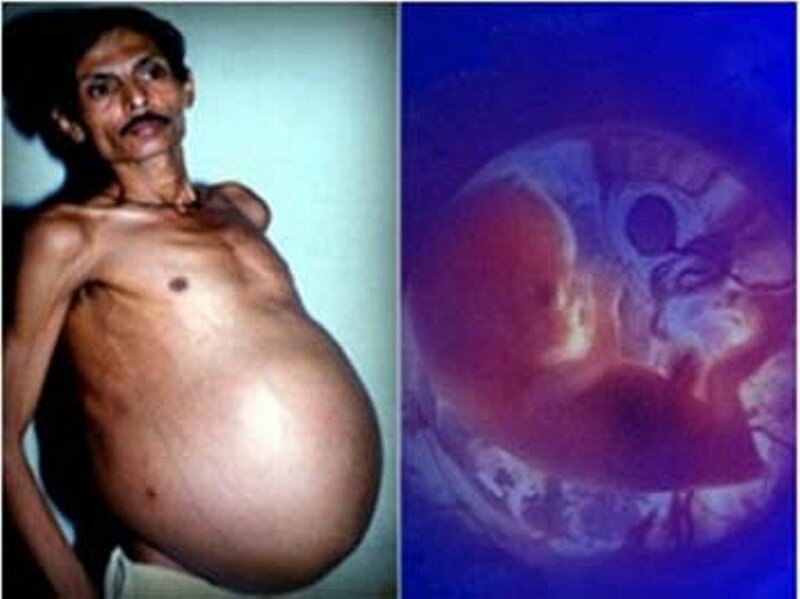 Doctors found that Sanju Bhagat had one of the world’s most bizarre medical conditions- fetus in fetu. Actually Bhagat was carrying the mutated body of his twin brother for 36 yrs who had fully grown limbs, hair and long fingernails. It is an extremely rare abnormality, which occurs when a fetus gets trapped inside its twin. The trapped fetus can survive as a parasite even past birth by forming an umbilical cord-like structure that leaches its twin’s blood supply until it grows so large that it starts to harm the host, at which point doctors usually intervene. Most of the time both twins die before birth because of the strain of sharing the placenta. But in Bhagat’s case, he survived the birth and amazingly supported the life of the leached fetus for 36 years. No one suspected the problem. Everyone just thought he had a big stomach because he showed no discomfort. Right after the surgery, Bhagat’s pain and inability to breathe disappeared and he recovered immediately. His weight reduced from 200 lbs to 88 lbs. The case may have been a medical miracle to doctors, but to Bhagat his condition had been a source of shame and misery. All his life the people around teased him for his big stomach and taunted that he might be pregnant. Ironically what they said was true. Today Bhagat is in good health and leads a normal life, but he still gets teased occasionally. People still laugh at him and say that he was operated and he had a baby.